SMS Catering Services is Charlotte’s most complete caterer, offering a wide array of services for all different kinds of events. We provide a large banquet hall, capable of holding events such as weddings, birthday parties, business meetings and more. Whatever the occasion, there are plenty of reasons to choose SMS. For more than 40 years, SMS has provided the best in catering Charlotte, NC residents have experienced. Choose us for your Charlotte wedding venue and we will go out of our way to make it a memorable experience. We can provide everything for your event from tents, tables and chairs to entertainment. It is imperative for company functions to go off without an issue and in order to make that happen, there is a need to find a quality corporate caterer for your next event. SMS Catering Services can make sure your next business event is a success. Many catered events come with the inclusion of wine and choosing the right kind can make a wealth of difference. If you are planning a wedding reception or any other kind of formal event, here are some considerations to make when selecting your wines for the night from SMS Catering Serives Charlotte. SMS Catering Services has been catering Charlotte events for over 40 years. Offering quality caterer services & large banquet hall rental for any occasion. Organizing an event is much more than just deciding on a schedule for the guests and friends to follow. And, if you have ever organized a large event or gathering, you already know how difficult a task it is. Apart from a perfect plan, there are plenty of other things to take care of, and that’s when the professional planners come into the picture. Banquet hall or venue for the event is one of the most critical elements that can decide the success or failure of an event. The venue plays a significant role in the final turn out of the event, therefore, you must choose your location judiciously. Here are few important points to consider before finalizing a venue. 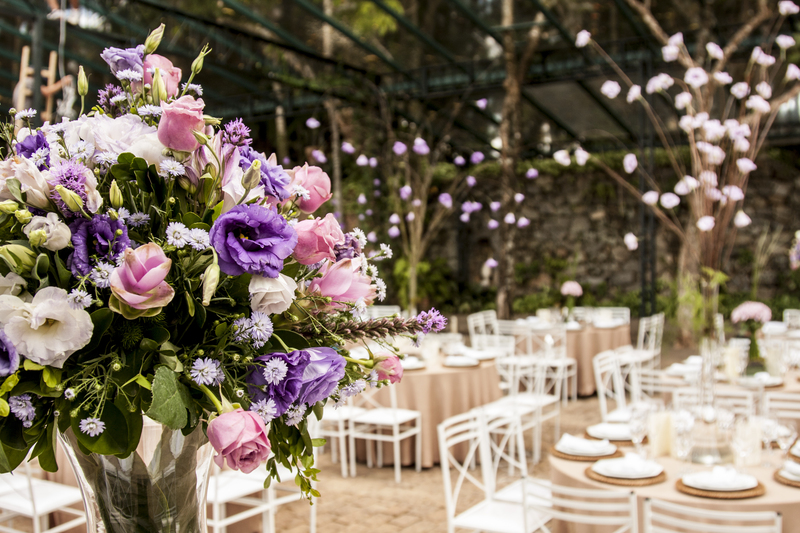 Whether big or small, formal or informal, you certainly don’t want your guests to be squeezed into too small a wedding venue, neither do you want too large a venue for a close family affair. The venue must accommodate all your guests comfortably for them to enjoy the event without rubbing shoulders with each other or feeling lost in a huge hall with a handful of guests. Professional event planners know their business and they can find the right place for any kind of celebration. The right place simply means easy accessibility to the location. Although, there can be exception to this when the hosts wish to take their party to a specific location, generally you would not want your guests to struggle finding the venue or drive hundreds of miles to attend your party. You must also make sure that there is ample parking space for your guests. The mood of your event depends solely on the location and venue. A formal event such as a meeting or a conference must have an indoor venue while casual family gatherings are enjoyed more in the outdoors. However, organizing a successful event with an outdoor venue needs more expertise as various other aspects including weather must be taken into consideration to avoid any last minute shocks. If you wish to take your party outdoors, let professionals handle it. Before finalizing the venue, you must also check for the added services offered on renting the location. There are full-service providers such as SMS Catering Services, Charlotte NC that can not only handle the additional services required for organizing an event but can turn your wedding into a great and memorable experience whether indoor or outdoor. Wedding is the most important day in anyone’s life and planning a flawless wedding without letting the strings of the budget loose is not only time-consuming and can be taxing as well. SMS Catering Services, Charlotte NC with highly reliable and efficient catering services can make the entire event of your wedding appear like a cakewalk. With an impressive catering menu, an elegant banquet hall, added amenities including a large on-site atrium, large covered patio area, extended lawn space for outdoor activities, and a gorgeous water fountain, the event planning team ensures that your wedding turns out to be a beautiful affair to remember. Ideal for hosting all sorts of private parties and corporate functions for any number of guests, the banquet halls are supported by the trusted team of event caterers. Take the very first step towards a successful event by choosing a reliable full-service provider to cater to all your needs and more; Learn about SMS Catering by visiting CateringCharlotte.com.